Last night, I had a telephone conversation with a Skverer chassid from Brooklyn about minhagim in Ukraine. In the midst of our conversation, this rabbi informed me that the previous Skverer Rebbe, Rabbi Yaakov Yosef Twersky, had the Rabbeinu Tam tefillin of the Degel Machaneh Ephraim. After the Previous Rebbe passed away in 1968, these tefillin were given to the present Skverer Rebbe in New Square, who currently has them in his possession. I would be fascinated to learn how the Degel's tefillin ended up in New Square, New York. In the Toldos section of the 1995 printing of Degel Machaneh Ephraim there is a note that the Degel had three sons: Rabbi Yaakov Yechiel, Rabbi Yitzchok, and Rabbi Yosef. Rabbi Yosef's daughter married the grandson of the Meor Einayim (Rebbe Menachem Nachum of Chernobyl). The Meor Einyaim even traveled to my family's shtetl to attend this wedding. Perhaps it was from this connection that the Degel's tefillin finally made their way to the Twersky family. I look forward to talking with this rabbi from Brooklyn again next week after has had a chance to find out more information about this subject. You should find out which grandson that was, 'cause the first Skverer Rebbe was a grandson of the Meor Einayim. It just might be as simple as that. There's a Twersky woman here in our neighborhood who's married to a friend of mine, and I believe they have a copy of a first-edition Toldos Yaakov Yosef, the Polnoye's sefer. Thanks for the information, Yitz! That is amazing to have the first-edition copy of the Toldos Yaakov Yosef. As I have written before, I would really like to get my hands on the first-edition copy of Degel. I know that the Lubavitch Library in Crown Heights has a copy of it. one more thing...I just noticed that Meor Einayim was printed in my family's shtetl in 1830. Eli Dishon: Thanks for the information. May I ask where you know this from? 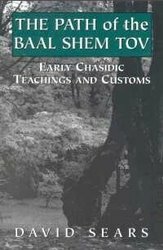 Regarding the siddur of the Baal Shem Tov, it would seem to belong to Agudas Chassidei Chabad, not to any individual...well sort of at least. This is really what the whole issue of the "Sefarim Victory" celebrated by Chabad on Hey Teves is all about. See a bit on this issue from a chabad point of view here. How well the secular courts judgement fits "al pi halacha", I am not sure. Eli Dishon: Did Kfar Chabad magazine have information about the Degel's tefillin? just curious, does the rebbe wear the teffilim everyday, or just on special occasions? does he wear them @ all? Eli Dishon: I was curious if you remembered whether the Kfar Chabad magazine had the story on how the Skverer Rebbe obtained them? Lipa: I don't know the answer to your question. I will post again on this subject when I find out more information. I really look forward to hearing more about this! What were you able to learn about minhagim, by the way? B. Gurarey was involved in the case, as he claimed that at least some of the books were his, or at the very least that he should have access to them, as the grandson of the previous Lubavitcher Rebbe. Actully, this is probably not the right place to talk about this issue. Tzemach Atlas over at www.mentalblog.com has various rants about this, so check him out. Fedora Black: Me too. I was looking into minhagim surrounding how Ukrainian chassidim tie their tefillin's kesher shel rosh, whether it was a dalet or a square (mem stuma). Great question! I did notice in the recent Breslov minhagim PDF made by the Breslov Research Center that R' Avraham Steinhartz tied it with a mem stuma, which I found interesting. Were you able to find out how it is tied in Skver? Fedora Black: Skver also uses the mem stuma. The Skverer chassid told me that both the dalet and mem stuma were used in Ukraine. In fact, R' Gedaliah of Linitz, a talmid of the Besht, used a dalet. Yes. Collection of minhogim Linitz/Monistritch was published very recently in Seyfer "Erchey Yehoyshua". It contains a big amount of minhogim of on of the Monistritcher Rebbes, who was a descendant of Reb Gedalya Linitzer and Reb Pinhos Koritzer ztz"l.
He used dalet as far as I remember. Many of this minhogim are identical with Breslover minhogim. (He also made chuliyoys (3-3-3 etc.) on tzitzis for example) Another nice collection can be found in Seyfer “Adir beMoroym” which contains minhogey Skolye (also originally Ukranian Chasidus). Recently printed “Imrey Pinchos haSholeym” contains a beautiful collection of minhogey Koretz/Bershad, which were never printed before. For example Reb Refoel miBershad ztz"l was putting tfilin shel yad while sitting (al pi Zoyhar), and his chasidim too. Monistritcher Rebbes did the same. A Yid: Thanks for the information! To Eli Dishon. If the Chefzei Kodesh belonged to the Rayaatz and then al pi halocha were transfered to the daughters or sons in law , then either the Rebbes niece Mrs. Roitman and her sons (she has 2 sons ) are the legal halachic owners (of the part yarshened by Rabbi Schneerson ZTL) and perhaps Barry Gourary's wife's brother S. Haskind would have a claim (to the aprt yarshened by Gourary). Butman is by no stretch of the imagination the rebbe's closest relative. really _feel_ Shabbos there as the entire village observes it. The people of New Square are renowned for their hospitality to visitors. who is not Orthodox, and people went out of their way to make him feel welcome. the 'shirayim' of his food. 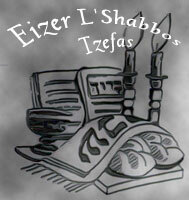 The tish doesn't end before 1:30 a.m..
prior to that, starting at around 8 or 8:30 a.m.
recall whether or not there is another tisch for the daytime seuda (meal). however, several earlier minyanim that break away for maariv. or 2 a.m. is typical. This past Shabbos, I traveled to New Square, which is a Chassidic community near Monsey. 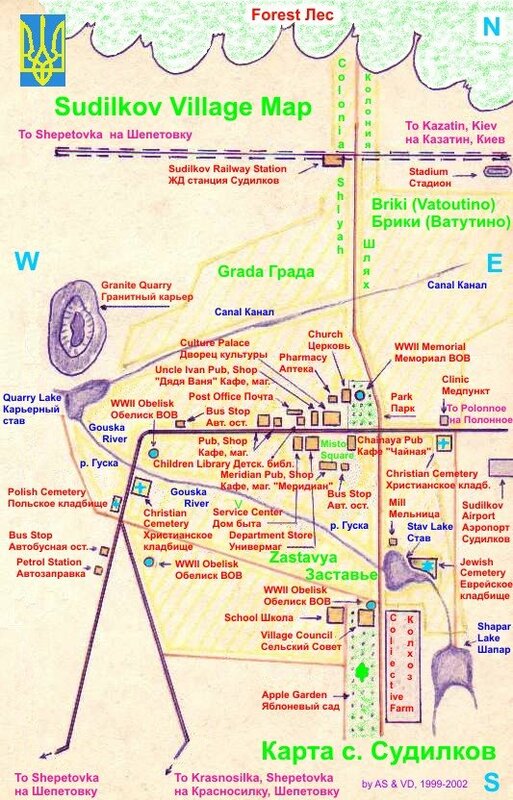 The community is completely made up of Skverer Chassids, and is very strict about many standards, such as tznius, interactions between men and women and contact with the outside world. Before Shabbos, a friend who I was going with sent me a welcome letter from our hosts explaining some of the customs and the schedule which we would be encountering during our Shabbos there. It mentioned the modesty standards, and explained the limitations in interactions between men and women there. It also made an incredible point of stating how excited they were to have us as their guests. There were six of us there for Shabbos. We arrived erev Shabbos to bedrooms made up for us with soap, towels and tissues on each of our pillows. Our hosts children gave up their rooms for us, I slept on the top bunk of a bunk bed for the first time in my life. After we put our things away, we came downstairs and our host fed us kugel and salads before Shabbos started, since it would be a while until we ate again. We got ready for Shabbos, lit candles, and then went to take naps. The Skverer Chassidim have their own kind of schedule. The men came home from shul around 10:30 at night and then we came down from our naps and proceeded to eat a leisurely meal until around 1:00 AM. Our host came downstairs and she was dressed beautifully, but as if the custom of the community, she was wearing a sheitel with a white scarf on top of it, and a white apron over her dress. It was something that I have only seen in Israel, which is actually where I felt like I was for much of Shabbos. My friend and I were trying to help set the table, but we missed some of the custom. As we came back into the dining room after setting the plates out, we found our seats moved way down to the end, where we would be eating with the wife, a whole table between ourselves and her husband. We asked her if this was the way she would sit if we weren't there and she told us yes. Wow. After dinner, we went to the Rebbe's Tisch. I had never been to a tisch before, and this was certainly an experience to see. There was probably at least 700 men there, standing on bleachers, wearing bekishe's and shtreimels. They were singing their hearts out, with incredible energy and melody. I don't have words to express the amazing energy in that room, with so many people all singing to honor their Rebbe. All I could do was listen and let the energy gush over me. We got home around 3 AM, and sat around chatting with our hostess for a little while before going to sleep. In the morning when we woke, the schedule was quite different than in most frum communities that I have been to. We went to shul around 12:30, in time for the Torah reading. The women there were very helpful and friendly to us, showing us where we were in the davening and wishing us a good Shabbos. We then went to lunch around 2:00. My friend and I went to a different family for lunch. The wife was the typical Jewish bubby, stuffing us with food and then chastising us for not eating enough. Before we left, she admonished us that the only way she would know if we enjoyed our time there was if we came back, which we assured her we would. After lunch it was back to our host's house for a nap and some good conversation until Shabbos was over. We went back to another tisch, this one in the dark, which was incredible again. Watching the shadows of the men swaying and singing was just really powerful. It was an amazing experience. My reflections from this Shabbos still haven't processed. Many of the things I witnessed and learned were so foreign to me - the head covering, the separation of the genders, the fact that women don't drive. But I honestly felt that the members of the community do all these things because they sincerely believe it's the best way to serve Hashem. I can't tell you how many times I heard my host's 2-year-old say that she was doing something "Lakovod Shabbos" (for the honor of Shabbos). I don't understand a lot of it, and I don't think I could ever live to anything near such a standard, but there is something to it. It was an incredible Shabbos, and I am so happy to have had such an experience.